I was in B&Q last Saturday, trying to help my dad to buy a Gazebo. We stood in the ‘garden furniture’ aisle and found a big brown cardboard box with a product name and a one inch square photo of a gazebo under it and a price label on the shelf. That was it. We were supposed to decide whether this was a good gazebo worth buying or not entirely based on B&Qs reputation. So I pulled out my smartphone, went to the B&Q website and read out to Dad the size, assembly instructions etc and showed him some proper photos of it. Unfortunately I them went to the ‘reviews’ tab on the product page and read loads of reviews that said it collapsed if you so much as breathed near it so we left it and went on to Halfords. If B&Q had put some decent PoS instore instead of sending me online we would have never made it to the negative reviews and bought one. 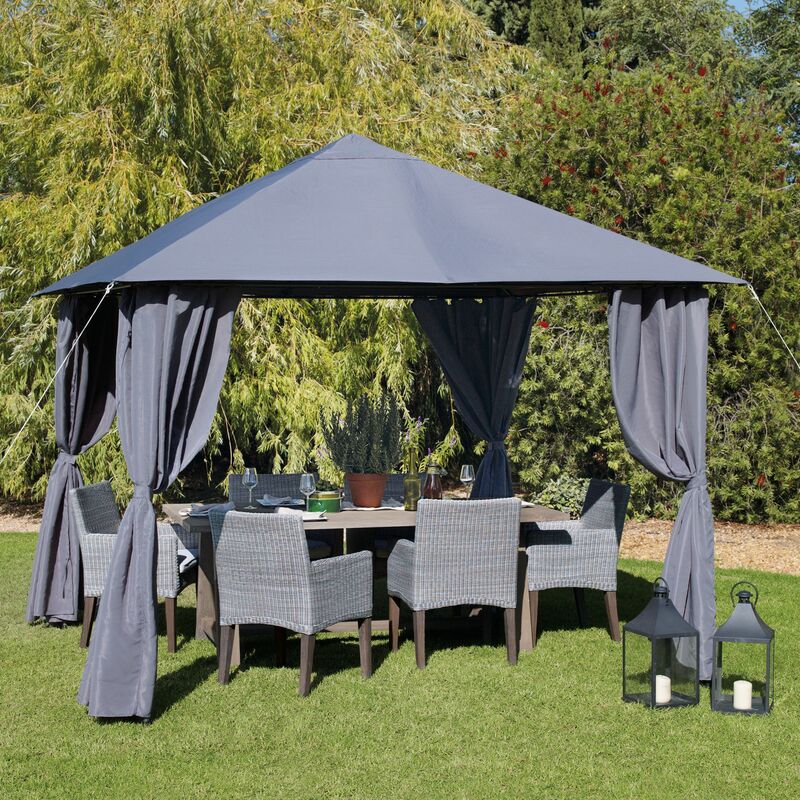 There are probably hundreds of happy satisfied B&Q gazebo customers out there that didn’t write a negative review but it was enough to scare us off. And if my Dad (proud owner of an ancient Nokia) was there on his own he would have had no access to online product info at all and definitely not bought one. Two scenarios, each resulting in a lost sale for want of a bit of decent PoS instore. It was a similar story in Currys a few months back – we went freezer shopping, spotted a likely candidate, I got out my phone to get some more info – and discovered that Currys were selling it for £10 cheaper online than instore and with free delivery to boot. They still got the sale (albeit via a different channel), but since we now can’t trust their retail prices next time we’ll use them for showrooming before I find a cheaper price online. The moral of this story? It’s all very well having an all-singing, all-dancing website, but if you’re going to maintain a bricks and mortar retail estate alongside you’d better make sure not only that your prices are the same in both channels but that you give physical shoppers as much information as your online customers. Because as soon as they pickup their smartphone, you’ve probably lost the sale.